Grove Ecosystem: an intelligent indoor garden that uses fish, plants, and bacteria to grow your food. Its app lets you control and automate the ecosystem. Plug & Plant: an app-enabled smart vertical garden with a modular design. Its water tank waters your plants for up to 30 days. Grüt: a gardening kit for kids. 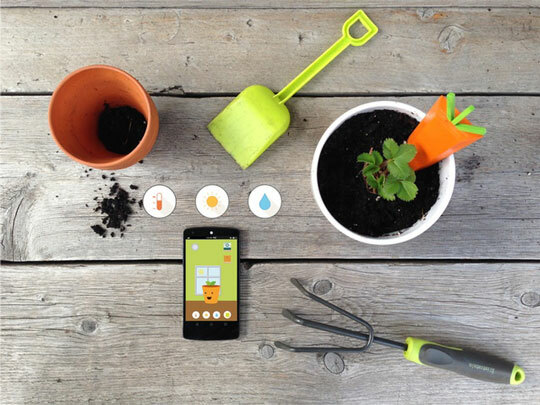 It has sensors and an app to show your children how to take care of their plants. Planty: an internet connected planter that monitors your plants and analyzes the data to help you better grow your plants. 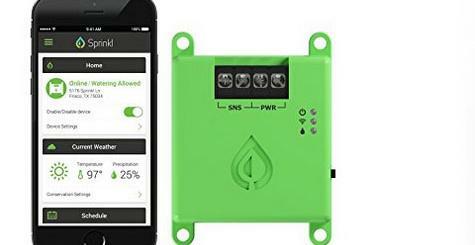 Herb&Fish Connect: a smart aqua-herb-garden that you can control from your smartphone. You can turn the water pump on/off from your phone. It also has a water temperature sensor. Have you found other app-enabled indoor gardening systems? Please share them here.